Stop motion technique has been used for years to transform objects into locomotive beings. 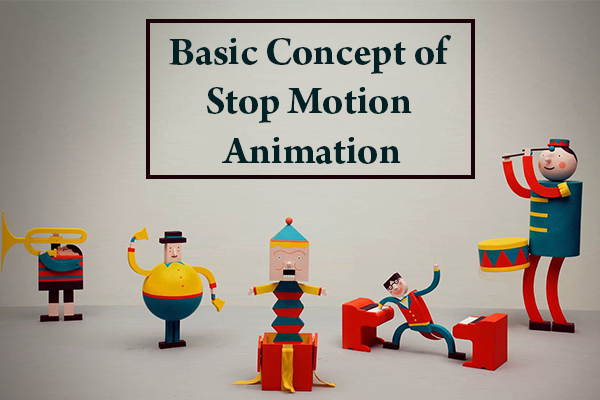 Mostly stop motion is used in the film industry and at one time, it was long thought to move the objects by magic. Stop-motion has been used in several other motion picture films like King Kong (1933), Clash of the Titans (1981), Star Wars Trilogy, and many of Tim Burton’s films like The Nightmare before Christmas (1993) and The Corpse Bride (2005), and much more. There are a few basic concepts that every aspiring young filmmaker would want to keep in mind. Stop motion isn’t time lapse. On one side, stop motion is an animation technique that physically manipulates an object, so it looks to move on its own by moving the object between the individually photographed frames. This method helps to creates the illusion of movement when the series of frames is played as a constant sequence. On the other side, time lapse is utilized by taking still photographs of a live environment at constant intervals so that the frequency at which film frames are captured is lower than used to view the sequence. So, when played at constant speed, time appears to be moving faster and thus lapsing. Taking your time to completely embody the movement of whatever object it is you want to work with is critical. As you will need to create every move look as real as possible to the viewer. The other thing to keep in mind is that movements that are closer will slow down the action, while movements that are notably apart will speed it up. Not every movement happen in the straight line, because if they did, we will all appear to be floating, it is essential to implement the curved path of the movement known as an arc. Using arcs in animation will create a realistic movement that is natural to the eyes. Always stagger movement by some frames to create a real and natural animation. This technique becomes incredibly important when dealing with the complex scenes including the multiple objects moving separately or elaborate movement of one character. Other great things to mention is that stop motion can be utilized in both 2D and 3D animations. In 2D animation, you draw out the characters you want to work within your film by either drawing them on paper, capturing a photo and repeating these steps or using a cut out of objects you want to work with and then giving them a free range of motion in the film. The other avenue for stop motion is in 3D animation using clay or play-doh objects, action figures and much more. The brass tacks of it are that stop motion is pretty neat, and it is a technique for everyone that is an aspiring filmmaker or videographer interested in the breathing life into inanimate objects.